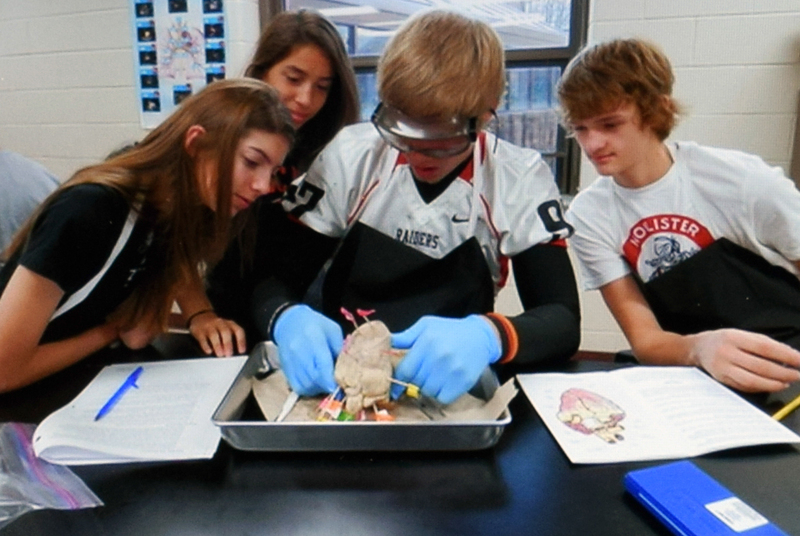 Beginning in fall 2016, students in the Huntley High School Medical Academy will have a first-of-its-kind opportunity to serve a residency in Centegra Health System facilities. The residency program, believed to be the only of its kind in the country, will offer up to 30 students the chance to receive intensive job shadowing and mentorship with healthcare professionals at the new Centegra Hospital-Huntley and other clinical locations. The students will receive a minimum of 2.5 hours of experience per week for the duration of the program. The hours will be accommodated outside the traditional school day, and the academic component of the class, including reflections and discussions on students’ hands-on experiences, will be delivered in a blended format. Additional opportunities for volunteering or shadowing also will be offered, if available. The residency partnership will begin in fall 2016, when the Centegra Hospital-Huntley facility is completed. Centegra President and Chief Operating Officer Jason Sciarro said the partnership supports the system’s goal to educate, recruit and retain exceptional doctors, nurses and other clinicians. Burkey said the innovative partnership with Centegra will provide an unrivaled experience for students who are considering future careers in health care. “If you are a kid in the state of Illinois and you want to go into medicine, you ought to move to Huntley,” Burkey said. The HHS Medical Academy, launched in 2011, offers specialized courses for juniors and seniors planning careers in the medical field. Students can apply as sophomores or juniors to gain acceptance to the Medical Academy. The residency program is one aspect of a growing partnership between the District and Centegra. In addition, Centegra will be the exclusive provider of sports care services for the school district. Under the agreement Centegra will provide one licensed and certified athletic trainer for HHS. Read more about the partnership on the Centegra website and in the Daily Herald.